The Algarve region is certainly Portugals’ most popular tourism destination; it’s like a post-card picture attracting families, couples and golfers to its fabulous beaches, picturesque and cosy villages, quality hotels and first-class golf facilities. Located on the South-most of the country looking into the Atlantic Ocean with a Mediterranean breeze, the Algarve boasts a wonderful climate and weather conditions, offering hot dry Summers and warm and cosy Winters. Usually people booking holidays in the Algarve are attracted by the region’s famous climate, beautiful beaches and the welcoming and courteous Portuguese hospitality. Many also come to enjoy sports activities including a whole range of exciting water sports, deep sea fishing and golf. The region is home to some of the world’s most physically challenging and visually exciting golf courses. 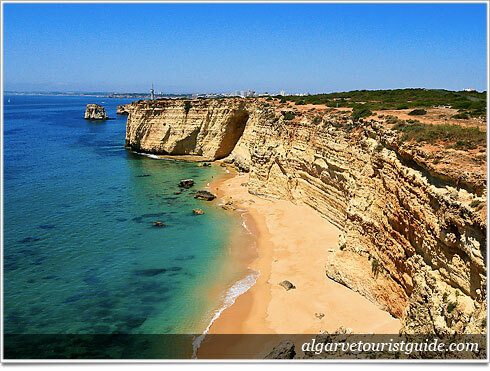 If you are planning to book holidays in the Algarve it’s recommended that you do it early in the year (e.g. around February/March) and don’t leave it for the last minute, by doing so you will not only be avoiding disappointments, but you will also manage to get the best deals and nice affordable packages. A good place to start checking for low price accommodation is in booking.com. With over 100 pure white sand beaches spread over the coastline, Algarve holidays offer a varied choice of resorts that suits everyone who visits. Most of the resorts in the Algarve were originally small fishing villages which are now filled with beachfront hotels and apartments, and plenty of restaurants and bars, with some still retaining a charming, traditional feel with their narrow cobbled streets, and white-washed houses. The main Algarve holiday resorts are centred around the lively town of Albufeira. West of Albufeira, Portimão is a cosmopolitan town with a rich, cultural heritage and is backed by pine covered hills and fields of wild flowers. The white sandy beaches and warm waters of Praia da Rocha lie close by. Vilamoura is a purpose built Algarve town that has its own attractive marina lined with shops, bars and cafes and has excellent sports facilities, particularly for golfers. For those in search of a lively holiday with plenty of nightlife, head for the main resort of Albufeira, with its’ vibrant strip full of bars, clubs and English-style restaurants, or if you’re looking for the best beaches in the Algarve, then try Praira da Oura, Açoteias or Praia de Falésia. The quieter resorts of Altura and Alvor offer a sleepy pace, and the inland towns and villages such as Estoi and Tavira show visitors a side of the Algarve that is rich in history and culture. Holidays in the Algarve cater for everyone, with resorts such as Vilamoura and Quinto de Lago offering top-of-the-range sporting facilities, with the emphasis on the excellent golf courses. You have to go to Albufeira! We went on our holiday last summer was so much fun. Check out the zoo marine – the kids loved it!